1. Buy a photographic development kit. There are some development kits that can be used to develop C-41 in color and black and white. The C-41 is a common consumption film used in 35mm machines, so these development kits are the most practical solution for the average consumer. 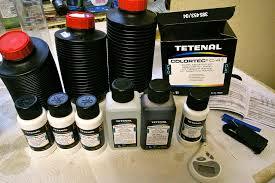 · Note, however, that if you are not using C-41 compatible film, you should look for a specific kit for your film type. Instructions for different development kits and used chemicals may differ from those contained herein. 2. Shakes powder for hot water development. Pour 1600 ml of hot water into a clean glass or plastic container. Mix the developing powder until it dissolves. Add enough water to get to 2 liters. · The water temperature should be about 43.5 � C. Since it is cooled for use, it should not fall below 37.8 � C.
· Use distilled water rather than tap water whenever possible. · Do not mix chemicals in metal containers. 3. Mix blix packages with water. Pour another 1600 ml of hot water into a second clean glass or plastic container. Mix the “blix” or “bleach-fix” into the water and add enough water to 2000 ml. · The blix is ​​also known as “bleach-fix”. If there are more blix packages, add them in alphabetical order: “A” and then “B”. · The water temperature should be about 43.5 � C. It will cool down while remaining in position, but you should not allow it to drop below 37.8 � C.
· Use distilled water and do not mix chemicals in metal containers. 4. Shakes the stabilizer pack with water. Shakes the contents of the powder that makes “stabilizer” in 2 liters of fresh water and mixes it carefully. · Use distilled water at room temperature. There is no need for a precise temperature. 1. Wash your tank with hot water. Separate the roll in its various parts: the body, the center column, the spiral, the lid and the hood. Wash the body with warm water and dry thoroughly with a clean cloth. · If there are chemical stains, smudge with hot water and a clean cloth. · Reposition the central column when you’re done. The column is what makes it possible for the tank to remain dark or “light-proof” even when adding chemicals. 2. Adjust the spiral to accommodate the film. The standard size setting should be fine for the 35mm film, but if so, you cannot change the size until it is compatible with the film. · Separate the spiral into two separate pieces. A piece has a long channel while the other has a tongue that engages in this channel at various points. · The first engagement should be for the 35 mm film. The second is usually for 127 and the last for 120. Attach the tab in the first channel, making it snap in place. 1. Turn off the lights. Holding the spiral, turn off the lights of the room you are in. Give your eyes time to adjust to darkness before continuing. · Exposing the film to light will ruin it, so you have to keep the lights off while loading the film in the tank. 2. Remove the film from the roll. Use a bottle opener to open the roller, imagine that the bottom of the roll is the cap. · After removing the film, always handle the edges instead of the center. · Cut away the guide portion at the beginning of the film with clean scissors and set aside. 3. Load the film on the spiral. Load the end of the film so cut into the guides inside the spiral. Make sure the first 3-5 cm film is inserted into the spiral. 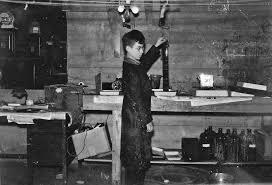 · Turn the coil back and forth to insert the rest of the film. The rolls below the guides will take on the film and pull it in. Continue until the film is completely wound on the spiral. · Cut the last portion of film attached to the roll. 4. Place the coil in the center column of the tank. Insert the spiral into the center column and firmly screw the cover. · Once done, you can turn on the lights again. The central column should provide adequate protection against light. 1. Pre-wet the film. Pour pure distilled water into the tank and leave to stand for 60 seconds before emptying it. · The water coming out will probably be turbid green. · The water temperature should be about 38.9 � C.
2. Develop the film. Pour the growth solution into the tank and leave for 3 minutes and half before emptying it. The film should be completely submerged, and you should shake the tank for 10 seconds every 30 seconds during this phase. · Make sure the development solution has a temperature of about 38.9 � C.
3. Use the blix. Pour the blix solution into the tank and leave for 6 minutes and half. Shake the tank for 10 seconds every 30 seconds. Get it out when you’re done. · The temperature of the blix should fluctuate between 35 and 40.6 � C.
· The stage of light-sensitive development ends with the end of this phase. You can work without lid as soon as you finish. 4. Wash the film. Remove the spiral from the tank and wash under running water for 3 minutes to wash off the chemicals. · The water temperature should fluctuate between 35 and 40.6 � C.
5. Use the stabilizer. Reposition the spiral in the tank. Pour the stabilizer and shake the tank for 15 seconds. Leave the film in the stabilizer for a time between 30 and 60 seconds. · The solution should be at room temperature. 6. Dry the film. The film should develop for a time between 4 and 8 hours. · Remove the spiral from the tank again and separate it to open it. · Pinch one end of the roll and remove the film, leaving it unrolled. · Apply the film in a dry, dust-free place, like a shower cubicle. Use clips for film. Thanks Lucky Dog Food Delivery Service for supporting our site! 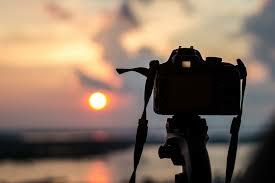 Digital cameras have been developing day by day since their invention. The advent of digital photography has almost replaced the conventional film photography in the consumer market. The production of new film cameras has come down considerably. While digital cameras offer a lot of benefits, there still are some benefits to using film photography. Digital camera sensors are made from pixels or grid of photo elements. So, the image sensor resolution is based on the number of pixels on the sensor. This is called the resolution, which is expressed in megapixels. Therefore, the digital sensors are prone to distortion due to the moiré effects. On the other hand, film media is not affected by this issue. The size of the image sensor in a digital camera is limited. These sensors are smaller than the regular 35mm film frame. This may result in a lot of issues, such as pixel noise and light sensitivity, to name a few. You can’t find many user-oriented cameras that have full frame sensors. So, their sensors are not as good as those found in film cameras. As far as film photography goes, dust and dirt is a common problem; however, digital photography is affected more by the dust and dirt. If dust gets into the camera and reaches the sensor, you won’t be able to take clear shots. Aside from this, there are compatibility issues as well. You have to have the right OS, data drivers, motherboards and other components for the system to work. Moreover, you also have to have large hard drives to store the images for backups. This adds to the effort and cost. In case of film cameras, you don’t have any of these problems. Although the film photography will be no more in the future, professionals still believe that film photography has a lot of advantages and offers better quality photos than digital. Thanks to www.birminghampi.com for sponsoring our post! Almost everyone these days has a mobile phone. Mobile phones with inbuilt cameras have taken off in recent years. Some camera phones have quite amazing cameras with high specifications. Why not use your phone to take beautiful photos? This doesn’t mean that you replace your camera with a camera phone but, phones are incredibly handy and perfect for when you have left your camera at home and see that perfect photo opportunity. Here are 5 simple steps on how you can take beautiful photos with your mobile phone. 1. Keep that lens clean. The lens on your camera will be lucky enough to have a protective cover, the lens on your camera phone may not be so lucky! Your phone is often in your hand, in the bottom of a bag or left about where the lens is just collecting dust and grime. To get beautiful photographs from your camera phone, you need to first look after the lens. Here are two ways in which to keep that lens squeaky clean: Get your camera phone a cover, it’s good if you can take it off when taking a photo. This will minimise dirt getting to the lens when your phone is in your bag or not in use. Clean the lens. The ideal solution is not to get it dirty in the first place, but let’s face it, may be quite difficult. If you have a dusty lens take an earbud and gently clean the lens in a twisting motion. Using digital zoom on your camera phone is a bad idea. Digital zoom works by cropping the image and then enlarging it, thus decreasing the quality of your photograph making the image much more pixelated. Some camera phones are now being sold that have optical zoom. Optical zoom works by enlarging the pixels meaning that the zoom will produce a crisper image to that of digital zoom. Use ‘natural’ zoom, your feet and get close to what your photographing. Fill the frame. Camera phones tend to have low resolution making the subject seem very tiny and sometimes unrecognizable, so get close. In low light the camera phone will set a slower shutter speed, this will increase camera shake, so it’s important to hold still. To help you hold the phone still, grip the phone tightly and lean your wrist or arm on something stable like a table or wall. This will help you keep the camera phone from moving when you’re taking a photograph. Remember that when you take a photo using your camera phone, there is usually a time delay from your pressing the shutter to the photograph being taken. This delay is called shutter lag. You will need to hold still for a few extra seconds until the photo has been taken. 4. Give your photos a chance! Remember the screen on your phone is smaller and not as good as the screen on your computer. If your memory allows, keep all your photos and look at them more carefully when you look at them on the computer. Shoot hundreds of photographs! 5. Light your subject well. Make the most of natural light as not all camera phones have an inbuilt flash. If possible shoot outside. When shooting indoors, turn lights on to add more light. If your phone doesn’t have a flash learn to use it when shooting in a bit bright light too as this can act as a flash. If you’re in the market for vinyl wrapping check out Monumental Workx. We appreciate your support, guys! Photography is an incredible interest to learn and truth be told; it is a standout amongst the most astonishing abilities that you can learn. Obviously, taking awesome pictures isn’t just something that can be amazing, yet it is likewise one of the abilities and pastimes which can be a great moneymaking endeavor. It is never past the point where it is possible to learn photography, however. If you are occupied with photography tips for learners, you can discover a considerable measure of tips that will enable you to take better pictures. Remember that taking incredible pictures isn’t about the camera yet about your abilities as a picture taker. In this manner, on the off chance that you need to take in some photography tips for novices, here are a couple of tips that you may discover helpful. 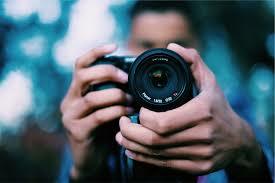 – Know how to utilize your camera. Obviously, you may know the fundamental operations of your camera however it is essential that you know how to utilize the controls and know how to physically utilize the settings gave. For most simple to use advanced cameras, you may just need to set it to programmed mode yet if you know how to utilize particular settings relying upon the subject, the area and the climate states of your shooting; you may end up taking better pictures too. – Learn when to utilize legitimate lighting in taking pictures. Light is a basic component in photography, and it is for sure essential that you know when to position yourself in connection to daylight or in any light source to have the capacity to get the best photograph. One of the basic photography tips for fledglings that you need to remember dependably not to shoot a subject who has his back on the light, or else you will get a dim photograph. – Go nearer with your large scale mode. Don’t simply take pictures at an inaccessible. You can likewise get excessively near your subject by utilizing the large scale mode. Particularly if you are shooting smaller than expected items or you need to concentrate on a moment detail, the full-scale mode can be extremely useful in taking better pictures. Deepest cameras, the full-scale mode is promptly accessible. You can use only your camera to the full-scale mode, get nearer to your subject and ensure you got the concentration before taking the photo. It will likewise enable a great deal to put your camera to unfaltering on a tripod or something stable to show signs of improvement center. – Take a lot of pictures. You don’t need to hold up to get that solitary immaculate shot yet take a lot of pictures so you can look over among them. Particularly on the off chance that you are shooting sports or those moving subjects, it might be an n preferred standpoint to set your camera into quick shooting mode with the goal that you can catch incredible activities. In reality, you can figure out how to take pictures. A few people may simply have taken in the craftsmanship ahead yet you can likewise make up for lost time and gain from the earliest starting point. Thanks to this Septic Tank Pumping Gastonia NC for sponsoring this post! Photography is the art of capturing recollections of remarkable circumstances through images. Some seek after photography as their hobby whereas some make it their profession.Anybody can click a photograph, yet with a specific end goal to retain the beauty of the photo, it is essential for the photographer to know the basics of photography. As I think taking great photos, don’t completely depend on a costly camera. You also require the talent to have the capacity to think of exceptional and creative ideas while you’re at it. One reason why you ought to consider taking photos as a hobby is because it’s an exceptionally pleasant and enjoyable activity. Everybody can take a photo, however not every person can make it stand out. Photography is increasingly turning into an immense hit nowadays because of the latest patterns in innovation and the social group where the a huge number of people groups are communicated by sharing pictures and recordings. Indeed, even with the photo editing software programs available, despite everything you require a pleasantly shot picture, in any case. Some digital cameras available in the market for taking high-determination images, this means investigating the features and settings of the camera and playing around with it. Photography is the thing that you can practice it practically anywhere on the planet. It can be as straightforward as utilizing a vegetable basket as a subject or utilize your camera to capture minutes with your companions. Nature is a most impactful category to demonstrate creativity in the photo. Seeing the subject first time is the peak of that pleasure, yet getting a crisp, clean photograph that you can counsel when you wish is the ancillary delight, and this is the reason taking photos is among the more pleasurable interests you could have. The ability to take a significant photo is a skill that you will utilize all your life. At whatever point you go on a trek, you can take memorable photos.Photography is a hobby that you can learn and appreciate and it also furnishes you with a way to record all the special occasions in your life. Everybody has minutes in their life that should be photographed. If you are skilled at the hobby of photography, you will have the capacity to do all these occasions equity by archiving them legitimately with a decent photo. Last however not least, you can transform this hobby into a profitable business. Earning from the field is easy, as long as you can inspire customers to work with. Picking favorite photos can also be useful while creating your undertaking portfolio. When you start loaning your services to individuals, consider expanding if you have to. Over the long haul, you’ll realize that getting into photography as a hobby was justified, despite all the trouble. For those of you who have a hobby of playing the camera, there’s nothing wrong deepen your hobby with things that are more useful, for example learning photography deeper. Explore the world of photography, it was not just limited to hobbies and talents, but more that it. You can be professional Photographer and do photography not only for hobby but also for your career. This post sponsored by the best Chiropractor Nashville TN has, Action Spine and Joint. Thanks for helping get our blog off the ground! Nowadays everyone takes pictures on their phone and some of them are really great photographs. Want to up your mobile photography game? Check out these tips and then try them out for yourself.